We chat video games, board games and all other things Geeky! Well we’re almost at the show of shows. Royal Rumble provided us with the beginning of the Roman Empire. The WWE Universe who 1 year previously were rooting for Reigns to win the 2014 Rumble were displeased by him winning in 2015 and went into full effect trying to get the Yes Movement of Daniel Bryan into Wrestlemania’s main event. So came Fastlane which would see Reigns take the victory over Bryan and give more proof that he is the deserving number one contender to challenge the beast incarnate, the 1 in 21-1, Paul Heyman’s client….BROCK LESNAR. But in this the ‘reality era’ It would seem the WWE will never get things right and the WWE Universe are still displeased with the confirmation that Reigns will be the main event of Wrestlemania and more than likely the new golden boy of the WWE. So what do you do when the crowd plays up? Make everyone in the locker room back the decision. Daniel Bryan has himself given Reigns the approval to be the one to beat Lesnar believing he showed heart during their match. And just like that the Yes Movement is relegated down the card to help the guys in the Intercontinental belt battle. But wait? John Cena wasn’t mentioned in any of the above regarding the WWE Championship? That’s correct, he’s currently in an angle with the Russian Rusev who’s first years in the WWE have been incredibly impressive. Going unbeaten since his debut, he’s been built up as a brick wall with the amazing Lana providing the mouth to give this Russian duo one of the best heel runs in the WWE for some time. Perhaps only rivaled by The Miz in terms of awesome heel runs as of late. So the US championship is getting a nice bit of heat to it too with Cena wanting to win the title that was his first championship a decade ago against the unbeaten Rusev. So, what can we expect at the ultimate spectacle in sports entertainment? It’s still up in the air at the moment as to if Brock Lesnar will sign a new contract with the WWE. I think a lot of the planning will depend massively on this. So here’s 2 scenario’s one based on Lesnar re-signing, the other if he’s gone after Mania. So, It’s rather obvious, If Lesnar signs a new contract, He’s retaining his world heavyweight championship at Wrestlemania. No doubt about it. I honestly think that despite it being over a year ago, The CM Punk departure still leave’s a sour taste in the WWE’s mouth. He’s had the longest reign of the championship in the most recent years. And I think this is also something else that WWE aren’t really happy to have on the record books. That’s why I believe if Lesnar agrees terms and re-signs he’ll be walking out of Mania with his title. I then think that the WWE will keep that title on him till he surpasses the 434 day mark. Who’ll stop him then and who’ll be in the hunt for the title? Who know’s. It’ll give the WWE enough time to make their new golden boy get more over with the crowd, and make him look strong. This does of course mean that Rollins cash in will be unsuccessful and that’s something I’m a bit torn on if they’d do. Well yeah obviously if he doesn’t agree a contract he’s dropping the title to Reigns. If this is the way it pans out and I fully suspect this is the way it’ll go, I then expect Rollins to cash in, either at the end of Mania or maybe at the end of another PPV main event when Reigns is at his worst. 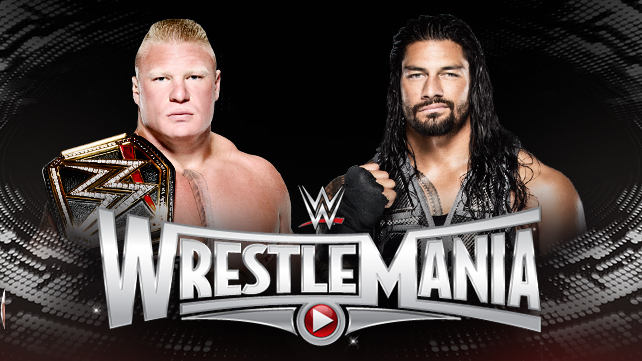 This will set up a Reigns vs Rollins angle that could take up a massive part of the year. Make Reigns look like the victim and again try to get the crowd behind him. Rollins is an amazing heel, he feeds off the crowds negativity to him all too well. He could carry this on saying he was the true star of the Shield, he carried them all and that his title proves this. In weeks gone by Bray Wyatt has been cutting promos teasing a match with The Undertaker, this became all the more obvious with his incredible promo at Fastlane where he teased the WWE Universe in a promo in which he rose from a coffin by ringside. So, it’s a little corny I guess. But this is how I see it panning out. Undertaker has apparently aged a lot worse than most, especially when compared to the likes of Kane and Booker T (Kane 2 years younger and Booker T the same age, it’s quite phenomenal really). Honestly and as much as it pains me to type this, I think this could well be The Undertakers final Wreslemania appearance as an active wrestler. So with that in mind as given how Bray Wyatt’s current character is somewhat similar in terms of being a rather mysterious, odd ball character. I think this match could be the passing of the torch if you will. If you wanted to go all out crazy, WWE show business style, something as ridiculous as Undertakers powers are transferred from his urn to Bray Wyatt’s lamp that he carries out. I dunno, I wouldn’t put it past WWE to do something like that. But the end result of this will be The Undertaker putting Bray over on the grandest stage of them all in his final match in the WWE. Expect to see Kane induct The Undertaker into the WWE hall of fame in 2016. 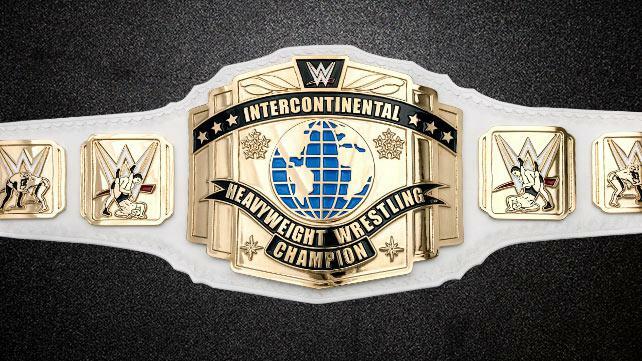 The Intercontinental title will actually feature at this years Wrestlemania which is great news after it was neglected last year. Bad News Barrett will defend his title in a ladder match against a yet to be confirmed list of wrestlers. It’s pretty much certain that Dean Ambrose will feature in this match, as will R-Truth since the recent segments that these guys have been involved in (#GiveTruthAChance). Before Fastlane Dolph Ziggler and Daniel Bryan had a twitter exchange about a possible Mania match. And recently Bryan has had an exchange with BNB and shared the ring with Ambrose mocking BNB. Ziggler has had a match with BNB too. So It’s likely that both Ziggler and Bryan will be in this ladder match. It’s hard to guess who else will go in this as I can only assume the rest of the jobbers in the locker room will feature in the Andre the giant battle royal again this year. I’d be happy to see Luke Harper thrown into the mix too as after his brief run as the IC Champion he’s disappeared while his ex Wyatt members in Rowan and Bray are still featuring in current storylines. So with that lineup you have 6 which would be more than enough. (BNB vs Ambrose vs R-Truth vs Bryan vs Ziggler vs Harper). By adding Bryan into this and Ziggler and Ambrose who on there day are very popular with the WWE Universe you’re creating some relevancy in the WWE Intercontinental Championship again. The United’s States Championship is a very tough one to predict. While Many would say John Cena is a guaranteed winner at Mania, I question if WWE would really let Rusev’s unbeaten role in the WWE come to an end to John Cena, Someone who does not need that push at all. If it were me I’d have Rusev win again, clean this time, and have Cena admit defeat the next night on Raw. This would put Rusev in another planet and elevate him massively for the future. Cena at this stage could and probably should be used for helping the talent get over. If that’s tagging with them or having a rivalry with them then so be it. I don’t doubt he’ll go on to win the WWE Championship again to get that record of most title reigns, but for now, just carry on what they are doing, put him against the future but rather than lose by cheating or just plain out burying the new talent, put some of them over clean. So for Mania, I’m being very brave with this, I think we’ll see Rusev make Cena tap out in the acolade. It’s not every day we see Cena look weak. But it has happened on odd occasions before, Just look at SummerSlam 2014 when Brock threw him around like a rag doll. Of course Rusev won’t be built up strong as Brock was then, But having Rusev retain his US title again in one of his hardest fought matches against the man that never gives up, who’s overcome all the odds, It would be a Wrestlemania moment of a life time to see Cena tap out. HHH & Sting are to meet in the ring, But I’m going to leave my predictions as they are. I know this writes out Sheamus but I expect he’ll probably ruin my IC prediction by interfering with Bryan. Rollins vs Orton is probably another match on the card with maybe a Rollins win. So there we are, we’re into the final stretch now to Mania, let’s see how off the mark I’ll be with these predictions and how many of them will be ruined in the coming episodes of Raw building to Mania.